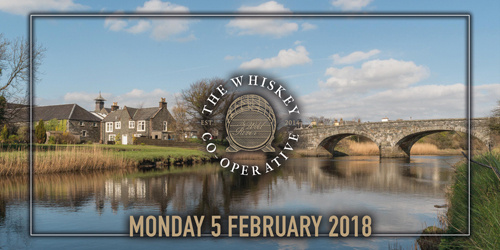 For the first time at The Whiskey Co-Op we’ll be tasting whisky from BLADNOCH, a 200 year old distillery located in the Scottish Lowlands, in an intimate tasting upstairs at The Wild Rover on Monday 5th February. While the distillery has been operating on and off for many years, it has embarked on a revival which included change of ownership and hiring of highly respected Master Distiller Ian McMillan. Hosting the tasting will be long time friend of The Wild Rover, James Buntin (@james.buntin) who has returned from spending two years as The Balvenie Ambassador for the UK. James has a wealth of knowledge on Bladnoch and the entire whisky category. Seats are up for grabs from 9am Monday 29 January.